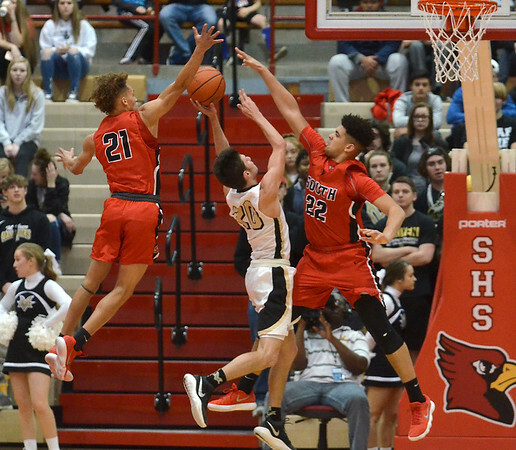 Not a chance: Terre Haute South's KC Bender and Kenyon Sholty block Mt. Vernon's Peyton Meadors during the semifinal game of the Southport regional on Saturday. The Braves won 80-52.